To celebrate Purple Day, when people come together to turn the world purple for epilepsy, to raise both vital funds and awareness, My Family, Our Needs has teamed up with Young Epilepsy to turn the spotlight on epilepsy. But, why the colour purple? Purple Day was created in 2008 by Cassidy Megan, a young girl from Canada who has epilepsy and wanted to get people talking about the condition. She chose purple because lavender is recognised as the international flower of the condition. Epilepsy is a neurological condition that disrupts the normal electrical activity our brains use to communicate with the rest of the body. It is also the medical term used when someone has a tendency to have recurrent seizures. However, having one seizure does not necessarily mean a person will develop epilepsy. Seizures are caused by a sudden burst of electrical activity in the brain that results in an alteration in sensation, behaviour or consciousness. Seizures can take many forms because the brain is responsible for such a wide range of functions. What a seizure looks like will depend on where in the brain the burst of electrical activity occurs. See our Factsheet for more information about the types of seizures associated with epilepsy. Epilepsy can be a complex condition and is unique to each individual, as a result there is currently no single diagnostic test for epilepsy and a number of investigations are used. They might include EEGs (Electroencephalograms, which measure the electrical activity in the brain), brain scans and blood tests. Doctors will look at the results of these tests, together with eyewitness accounts or video recordings of seizures when making a diagnosis. The investigations also look for an identifiable cause and help find the best course of treatment. How you respond to your child being diagnosed with epilepsy can influence how your child copes with the situation. It is frequently the unknown that parents find most difficult to cope with, so find out as much about the subject as you can. You can get help from Young Epilepsy, which can provide relevant information and support for you and your family or recommend other sources of assistance. If you have an open and positive attitude, this will give your child encouragement and confidence. Remember epilepsy is what they have, not who they are. It is perfectly normal to want to understand why your child has epilepsy and what may have caused it. Your doctor may be able to advise you on this. However, in around 60% of cases a specific cause is not found. Cases with an identifiable cause usually fall into two categories: those caused by brain injury or brain disease (structural or metabolic causes) and those where genetics are a factor. Birth trauma – which can result in low oxygen levels (hypoxia) and subsequent damage to brain tissue. Abnormal development of the brain during pregnancy. Premature birth – which can cause haemorrhages (bleeds) in the brain tissue. Damage to the brain as a result of head injury. Infections of the brain (encephalitis) or brain linings (meningitis). Metabolic (biochemical) disorders such as low blood glucose, abnormal calcium metabolism or the effects of drugs (particularly alcohol). Autoimmune disorders, where specific antibodies affect the brain. Epilepsy syndromes with a genetic basis (such as Benign Rolandic Epilepsy or Juvenile Myoclonic Epilepsy). Most genetic causes arise from a gene mutation in an individual. Very few epilepsies are inherited and there is often no family history of epilepsy. Most children with epilepsy are perfectly healthy, but there are certain conditions or disorders that may accompany epilepsy. When they do occur, they vary from child to child and the severity and impact they have on a child’s quality of life will also vary enormously. Recent research from Young Epilepsy has shown that 60% of children with epilepsy meet the diagnostic criteria for at least one such additional condition (this is called a comorbidity). There are certain conditions that children with epilepsy have a higher probability of developing. Emotional disorders, such as depression and anxiety. Having a comorbidity can complicate both the treatment and management of epilepsy, as well as the co-occurring condition. It can also result in learning and behavioural difficulties. It is important that appropriate interventions are put in place to manage these. Will they go to pre-school and school? An epilepsy diagnosis is not necessarily a barrier to success; many children with the condition will achieve both academically and socially. Most children will be educated in mainstream pre-schools and schools, but some children with epilepsy who have additional needs may need specialist schooling. Wherever your child attends, it is important for them that you work in partnership with the staff and discuss the various issues that may arise. They should be given as much information as possible about your child’s epilepsy and how to support them, this can be set out in an individual health care plan (IHP). You can download this form from Young Epilepsy’s website, just search for individual health care plan. If it is appropriate, the Special Educational Needs Co-ordinator (SENCO) and school nurse may also need to be involved. It is advisable for the pre-school or school to assess your child for any specific learning difficulties as early as possible, so that appropriate support can be given. The impact epilepsy can have on learning and behaviour is often underappreciated. For children with epilepsy to thrive both academically and socially, it is vital any difficulties are identified and addressed, early on, by health and education authorities responsible for their wellbeing. Visual, verbal and short-term memory. Motor ability, e.g. handwriting and coordination. Psychosocial problems, e.g. low self-esteem, frustration, anxiety and poor motivation. Behaviour, e.g. hyperactivity, inattention and impulsivity. Will my child make friends? There shouldn’t be anything to stop your child having the same relationships as their peers. Discuss with your child whether the other children at school should know about their epilepsy, it may be that by helping the other children to understand the condition, they are less likely to be frightened of it. Will my child get a job? With the exception of the armed forces, it is against the law for employers to discriminate against people solely on the basis that they have epilepsy. Of course, if your child’s seizures are not well controlled, there will be some careers, such as working at heights, that may not be appropriate. Taking part in sports and activities is important for all children. You should encourage your child to enjoy a full social life with as few restrictions as possible. Seizures are less likely to occur when children are engaged in activities they enjoy. It is important to take sensible precautions, assess risk with each activity and consider ways of making each one as safe as possible, while avoiding being overprotective. Imposing too many restrictions can affect your child’s self-esteem and increase the likelihood of anxiety and depression. Any auras or warnings prior to seizures. Consequences if a seizure happens during the activity. Only around 5% of children with epilepsy are sensitive to flashing or flickering lights, geometric shapes or patterns. A flicker rate of between 5 and 30 times a second is the frequency most likely to cause problems. What should I do if my child has a convulsive seizure? Watching your child having a seizure can be very frightening, even if it only lasts for a few seconds. Most individual seizures stop without the need for emergency treatment, but it is important that a few simple steps are followed to keep someone safe. 1. Stay calm and make sure your child is in a safe place with space to move freely. Ensure there is nothing in the way that may hinder their breathing. It is also important to record how long the seizure lasts, so try to remember to start timing. 2. Let the seizure run its course… don’t restrict their movements or put anything in their mouth. 3. Once the seizure ends, put your child onto their side to recover. Gently tilt their head back as this will help to keep their airway clear. 4. Make a note of what happened leading up to, during and after the seizure ended. Has never had a seizure before. Is not breathing or is blue around the lips. Has a seizure lasting for more than 5 minutes. Is not responding to you after the seizure has stopped. Has sustained an injury during a seizure. Seizures that last for longer than 5 minutes need treating with an emergency or rescue medication. This is because the longer a seizure goes on the harder it is to stop. When a seizure lasts for more than 30 minutes, it becomes a condition known as status epilepticus. This is a medical emergency as the body systems are under such prolonged stress. If your child’s doctor feels your child is at risk of prolonged seizures, you will be prescribed an emergency medication you can administer at home. Paramedics will be able to monitor your child and further medication can be given, if needed, at the hospital. There is currently no known cure for epilepsy. For about 70% of those with the condition, good seizure control can be achieved through taking medication. Medicines used to treat epilepsy are referred to as antiepileptic drugs or AEDs. They do not cure epilepsy or treat the cause, but they aim to reduce the likelihood of seizures occurring. There are a large number of AEDs available in the UK and most are used by adults before they are licensed for use in children. Your doctor will choose the best one for your child based on a number of factors. These include the types of seizure they are experiencing, which syndrome they have, the likelihood of seizures recurring and the benefits or potential adverse effects of the treatment. It is not usual to start treatment after just one seizure, unless it occurred for a clear reason which makes it very likely that further seizures will follow. The results of detailed investigations show the seizures are coming from a specific part of the brain. Removal or disconnection of this area will not cause further complications. Another treatment option involves implanting a device, similar to a pacemaker, which sends electrical impulses along the vagus nerve (vagus nerve stimulation or VNS). There are also a number of specialised diets that are used alongside AEDs. These diets may not be effective for everyone, but for some they may improve seizure control with fewer side effects than other treatments. Any dietary treatments for epilepsy should only be used under the supervision of a consultant and specialist dietician. Edith Bowman, Radio DJ, music critic and television presenter. Martin Kemp, Actor, director and the former bassist with pop band Spandau Ballet. Danny Glover, Actor, starred in the Lethal Weapon films. Maggi McEleny MBE, British Paralympic swimmer and winner of three gold, five silver and seven bronze medals. Dai Greene, Welsh hurdler, 2010 Commonwealth Games Champion and the fastest man ever in Britain over 400m hurdles. Suzannah Clarke, Soprano opera singer performing at opera houses around the world. Laura Sandys, former Member of Parliament and Chair of the All-Party Parliamentary Group on Epilepsy. 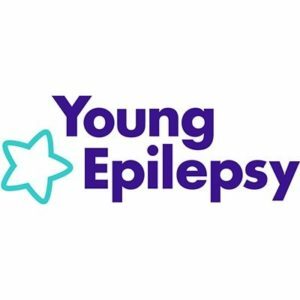 Approximately 64,000 young people in the UK under the age of 18 have epilepsy. It’s the most common severe neurological disorder in the world. Epilepsy is twice as common as diabetes in under 18s. It can affect anyone at any time. It is not a mental illness. Seizures are merely symptoms of a change in electrical activity within the brain. There is no connection between epilepsy and levels of intelligence. Some children with epilepsy are extremely clever, others are of average ability and there are some who have learning difficulties. It does not have to be a barrier to success. It’s not always a lifelong condition, 75% of children grow out of their epilepsy or manage to have the condition controlled with anti-epileptic medication. With thanks to Young Epilepsy for working with My Family, Our Needs to support Purple Day. If you would like to support Purple Day you can text PDAY26 £4 to 70070. Offer support and information, as well as lots of epilepsy resources to take away. For more information on epilepsy, read our Factsheet on epilepsy seizures.